Good morning all :) Deann here and I wanted to share an Off the Page Project with a chipboard Camera Tray from Gina's Designs. I colored the camera with Black Soot Distress ink and used Bo Bunny Paper. Today we have a sheet of all occasion labels. Designed to be cut out using a two inch circle punch, there is something here for everyone. 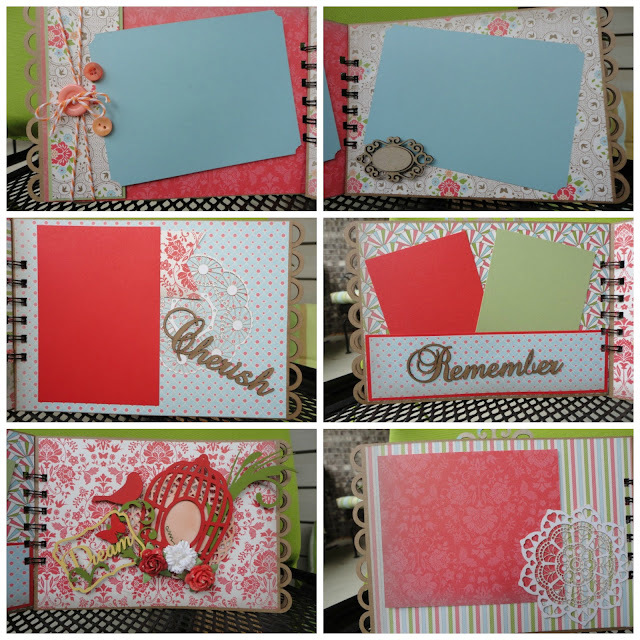 Print onto white or colored card stock and punch out to create elements for layouts, mini albums or cards. To grab your printable just right click on the image and save to your computer. Hello! 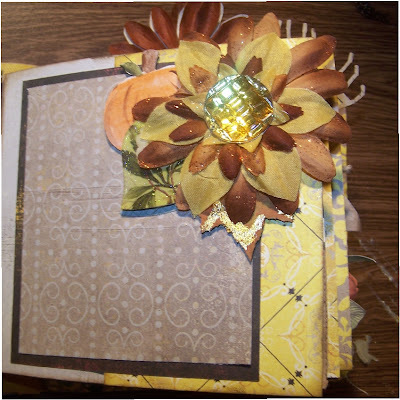 Dawn Rene here today to share a fall layout made with chipboard shapes from Gina's Designs. I am scrapbooking a weekend in the mountains with the kids from a couple Thanksgiving's ago. This is the first page. I used pieces from the Fall Shape Set which will be in the store shortly! 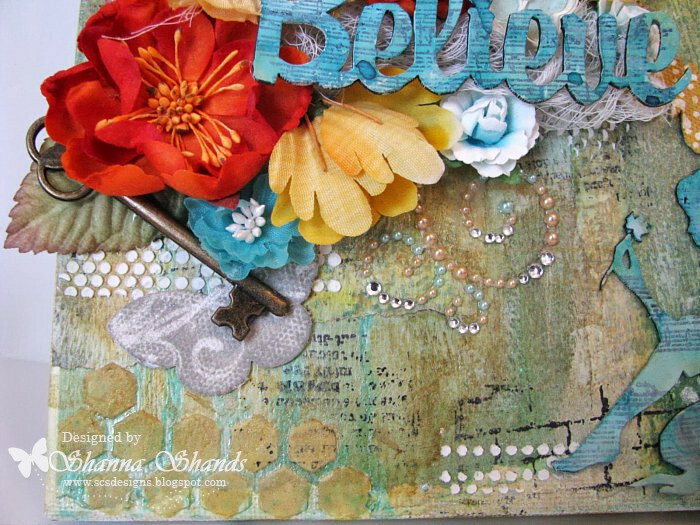 The banner, acorns, and leaves chipboard shapes were colored with Tim Holtz distressed paints. Hi Everyone! It's Lisa here and today I am sharing a canvas I created featuring Gina's Designs Filigree Frame Hearts! 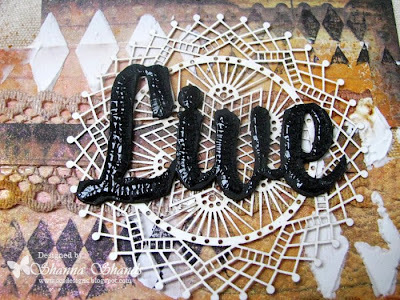 I also created a video tutorial to go along with this! Grab a cuppa joe, sit back and enjoy! features shapes from Gina’s Fall Shape set and various other shape sets from Gina’s Designs. 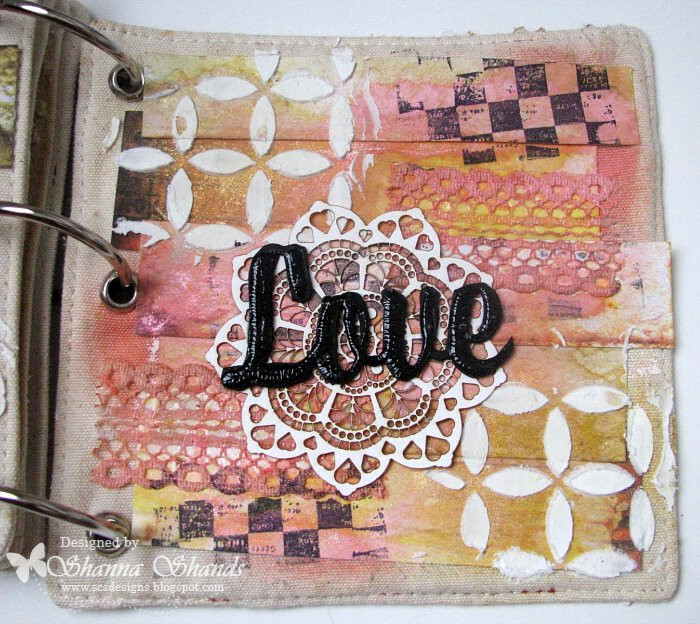 The cover was made using two pieces of chipboard that I cover with painted canvas. 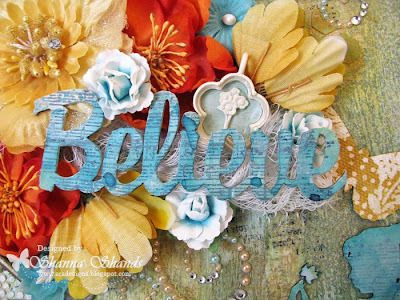 I painted Gina’s Trees and the fall banner from Gina’s fall shape set with brown paint and added gold leaf foil to the pieces. 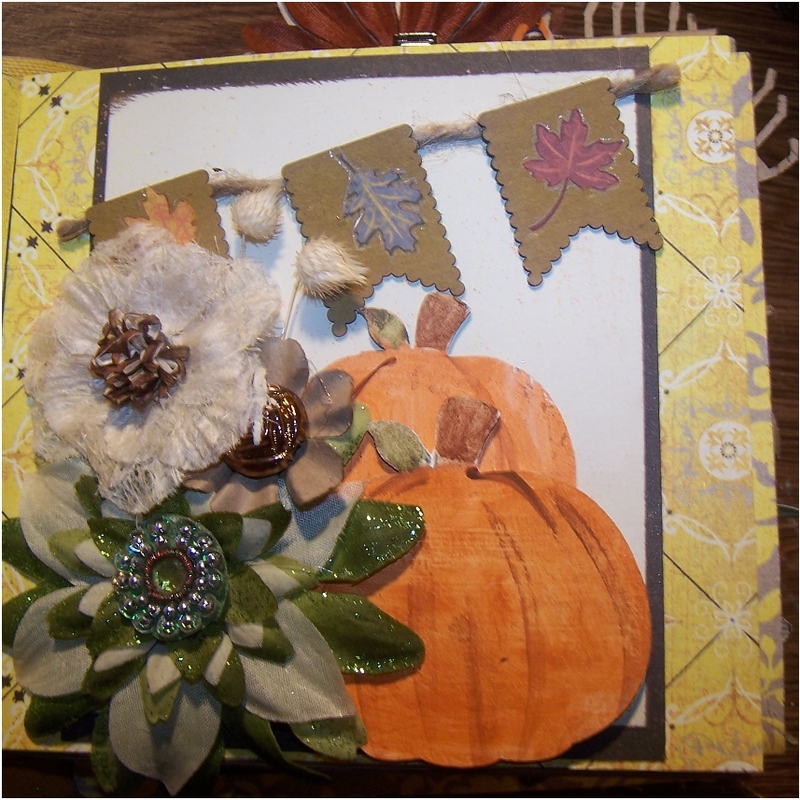 Next I layered up the painted chipboard with a few fall colored flowers from my stash. 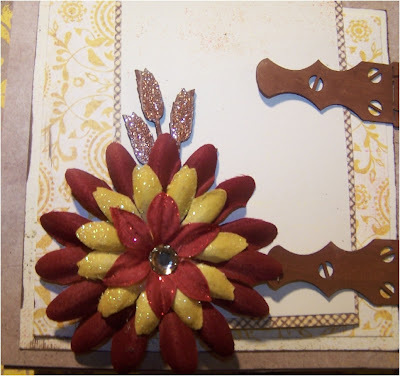 This page was made using Gina’s Hinges shape set and Gina’s fall shape set. 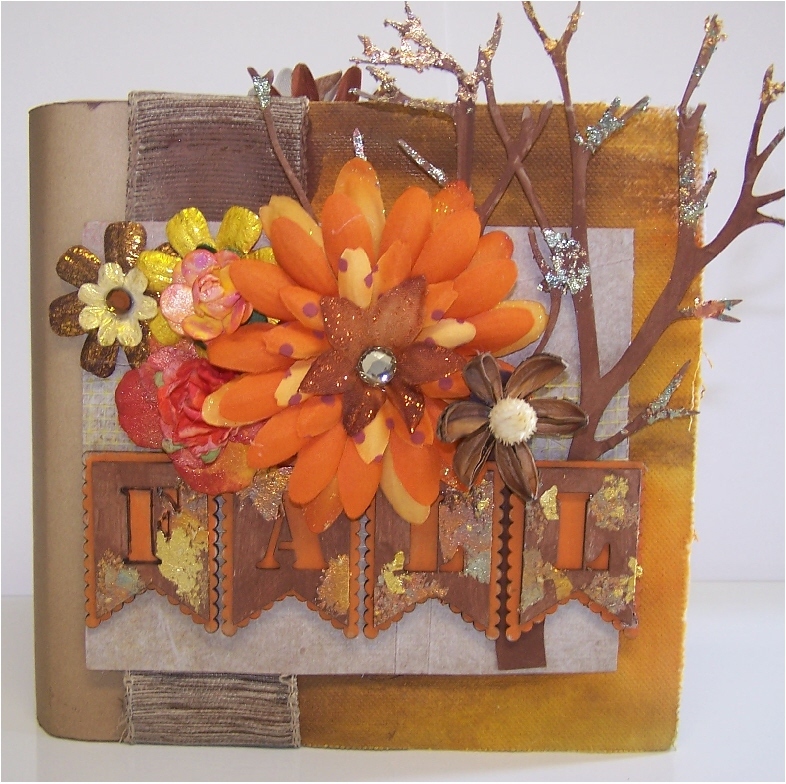 Once again I painted the chipboard and added fall flowers to the corner. The glittered chipboard piece is from Gina’s Fall set. The Hinges double as a holder for the pull out journal/photo card. 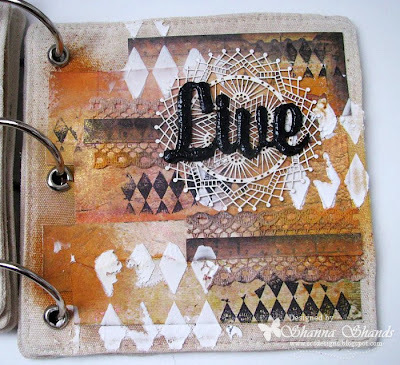 For these pages I used Gina's Chicken Wire, Gina's Fall Shape Set, and Gina's Banner Builder Dovetail Minis. You can find the entire album on my blog. Thanks so much for looking! 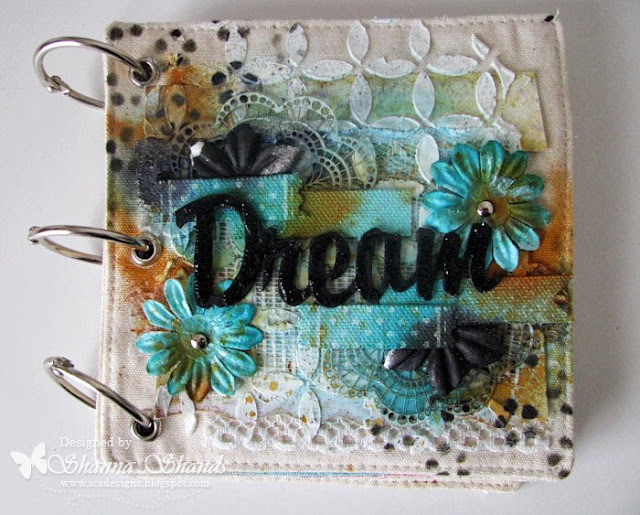 Hi everyone Monica here with a newer piece from Gina's Designs. This is a mini display frame and they come in: House, Balloon, Camera, Butterfly and Birdhouse. I used some G45 papers to decorate it with and some chippies from GD's Spooky Shape Set, Lamppost 2, and Grass & Foliage set. I left open spots so I could add some Halloween photos. 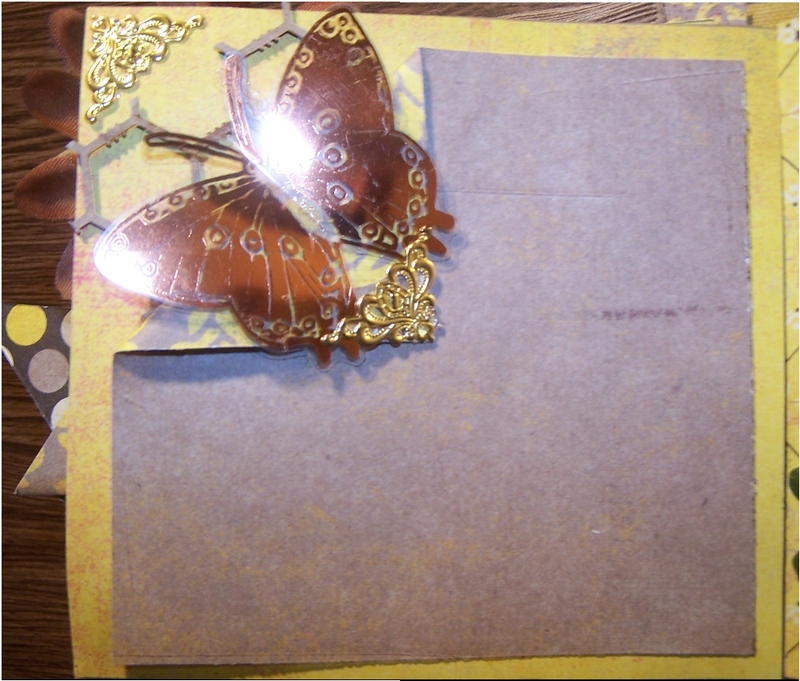 ...then I stamped it with a scroll type stamp all over the frame. Here's a page of vintage hardware that would be perfect for collage work or dimensional projects. Just print and cut out the pieces. We recommend 110 pound card stock. 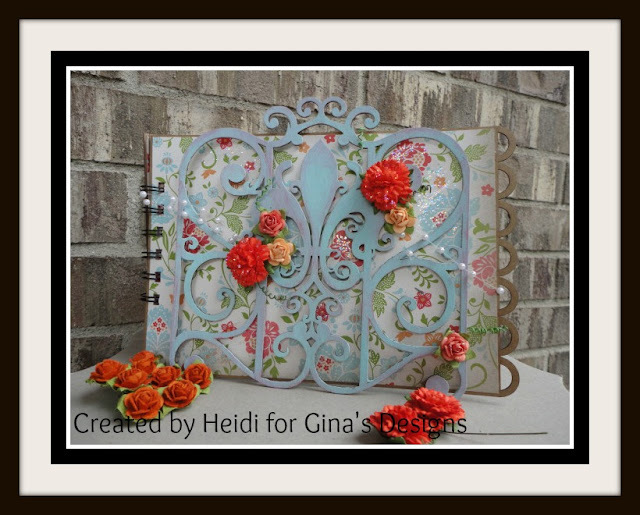 This is one of the new wall hanging kits from Gina's Designs and it was a pleasure to assemble and decorate. 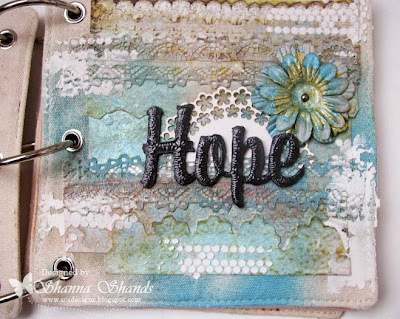 6 x 7.5 chipboard rectangle with two holes punched at the top and one hole punched in the center of the bottom. This piece is intended to connect to the square at the top, and to hang the large key from the center of the bottom. Kathi here again to share a layout I created for you. 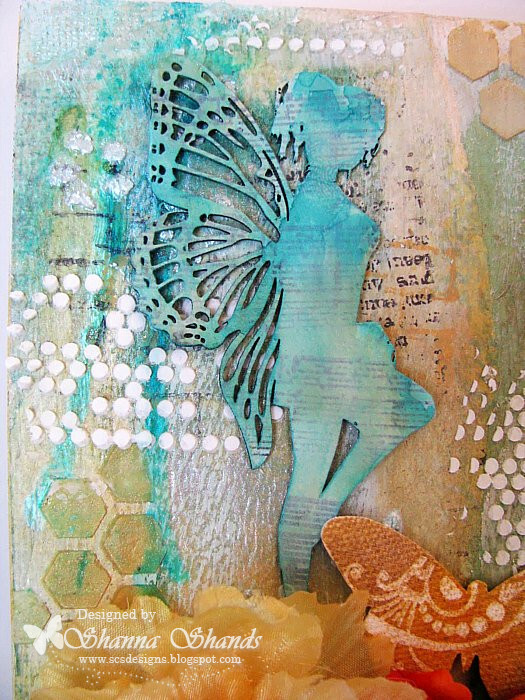 The garden fairy layout. Products I used from Gina's for this layout include, Lamppost 1, Garden Fairies (lg) and Cottage Windows (lg). 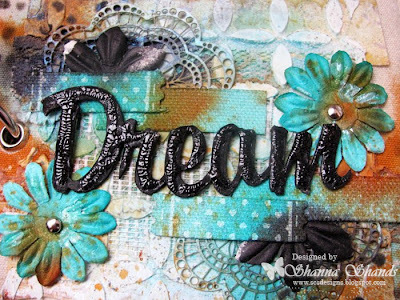 Soft green's, blue's and peach/pink was blended on this altered canvas. Kathi created a double matted frame around the photo. The double mat was created so that the photo could be exchanged for other photo's. Two fairies sitting around a bird house enjoying the flowers. 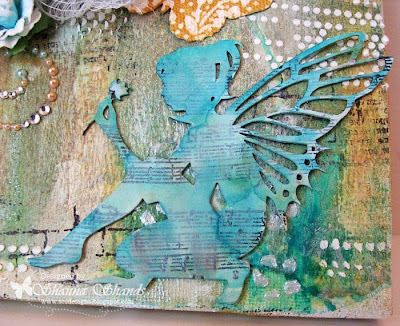 A garden fairy is leaning on the lamp post overlooking the babies photo. Be sure to check out these chipboard cutouts as well as others in Gina's store. Hey everyone. Shanna here today to share with you my take on using Gina's 10 Words. 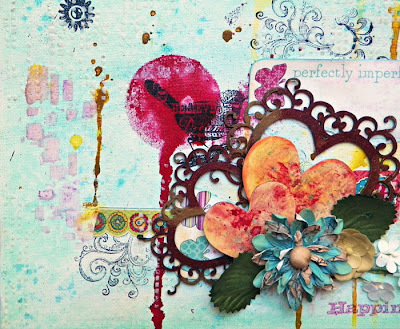 I have been really into mixed media lately and well this mini looks like it was tossed in a room full of sprays, inks, and paste. 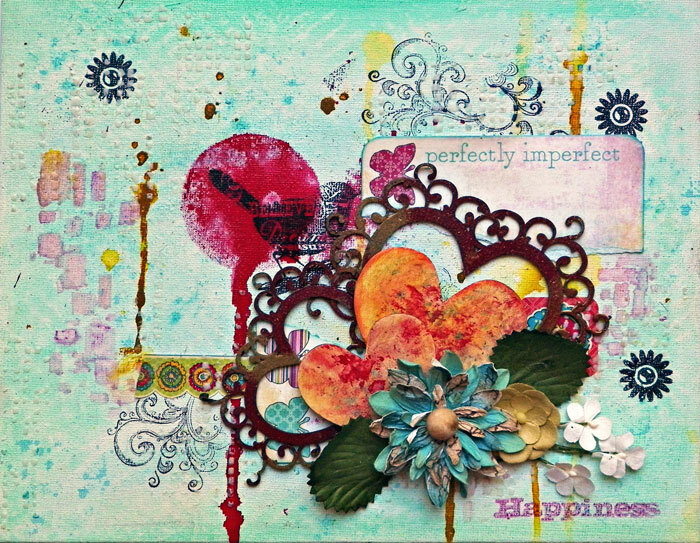 I has so much fun creating this and playing with all the colors and combos. So please let me know what you think and enjoy. I even made a little video on my process of how the pages were made if you are interested! Here is the video link to watch how I made the cover. 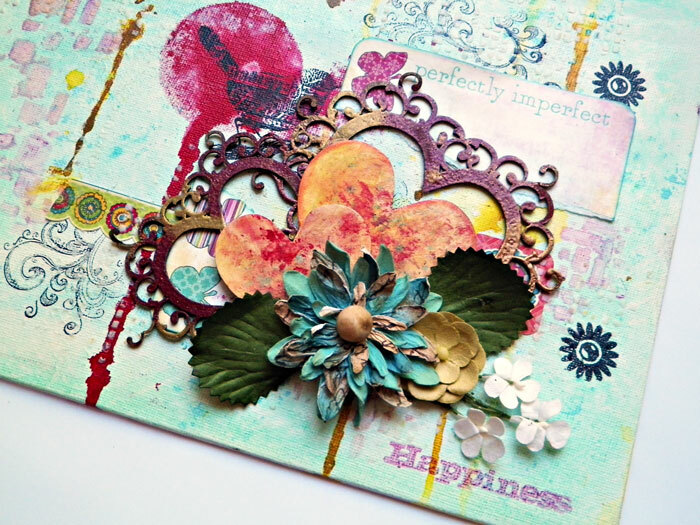 This week our printable features vintage fashion, hats, in particular. 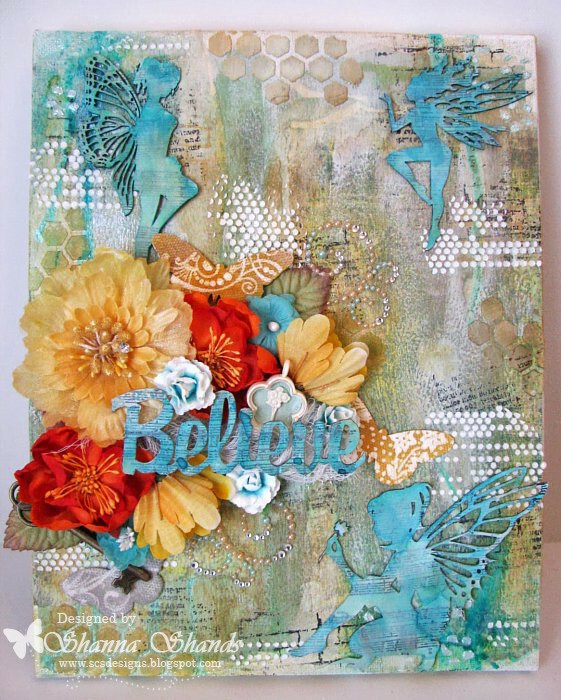 Hello: Heidi here with another beautiful Gina's Designs Project. I got this album from Gina along with the beautiful gate. The album has scalloped pages and wire bound. I did not really have anyone specific in mind but it had to be delicate and allow for some room for some pictures. Here are some pictures of the inside of the album- all decked out using some of Gina's Designs. It's August, but we needed to complete our Christmas in July giveaway, with these last pieces of the 25 Days of December freebies. 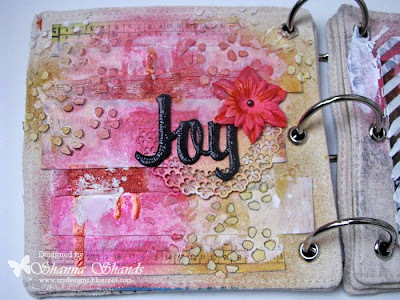 Hope everyone has enjoyed the month and if you make a December Journal, please leave us a comment with a link so we can see your project. Shanna here sharing a new project today for you!I am going to say I love love love love love love making canvas art! Of course my particular style may not be every ones cup of tea! This started out great and turned a whole new direction. Yes and I wish I did a video of me making it but I completely forgot! 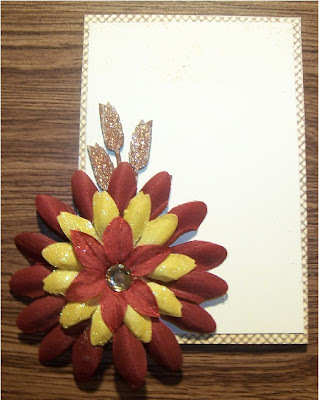 I got to use some random My Mind's Eye paper from my stash. I say random because it is some paper I bought when I first got started and had no clue what I was doing. 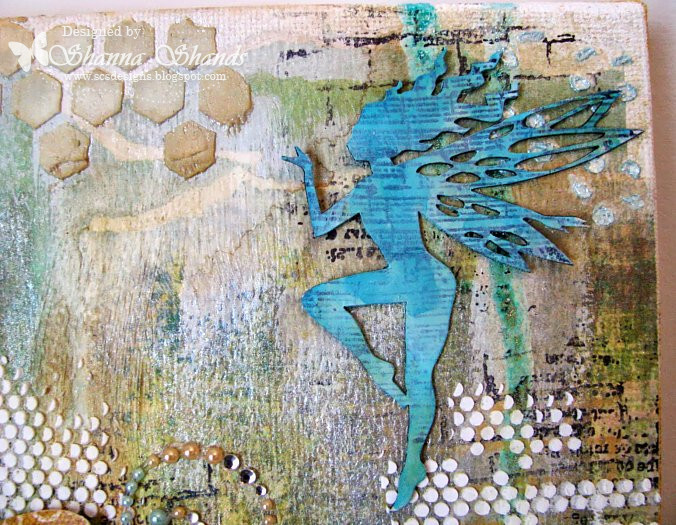 I layered it on the canvas and commenced making my fairy canvas! 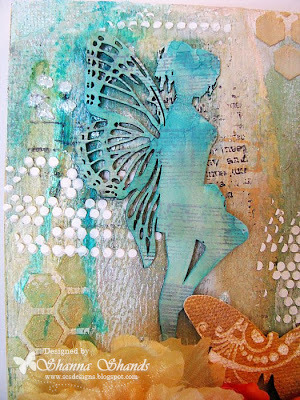 Here is one style of fairy in the large set. 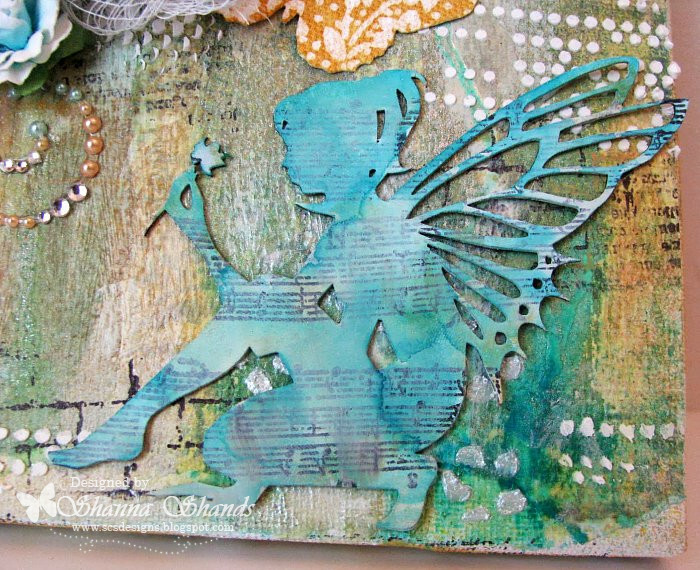 Here is a small fairy in a different style. 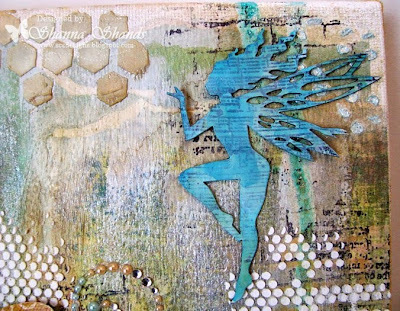 She is a medium fairy! 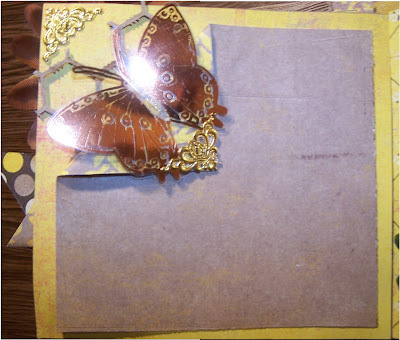 Here is can still see some of the original paper int he background just a little lol.